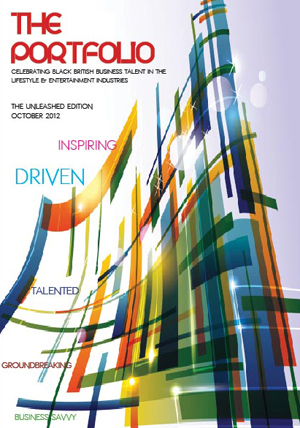 This is the first edition of The Portfolio which is part of Afrobase's campaign to highlight the success and achievements of black British businesses in the entertainment and lifestyle industries. Sophia A Jackson, founder, Afridiziak Theatre News and director, Afridiziak Gifts and Occasions is interviewed on page 32. Others organisations featured in this edition include Brides of Culture, Afrocessorise and Tribal Gem. There are also features offering business tips/advice, interviews and advertising from some great black British brands covering film, fashion, media, social enterprise and education. Juanita Rosenior, founder, Afrobase, said: " My intention is to continue to produce The Portfolio every six months to make sure that businesses who are making headway in their fields have a platform that acknowledges their achievements". Afrobase are interested in suggestions on who should be featured in the March 2013 edition, email, info@afrobase.co.uk.